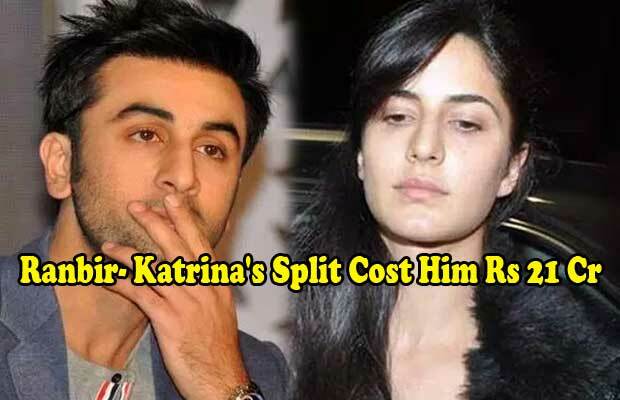 Ranbir Kapoor’s Alleged Break Up With Katrina Kaif To Cost Him Rs 21 Crore? [tps_footer]By now its known to all that Ranbir Kapoor and Katrina Kaif’s adorable love story has reportedly come to an end. The much in love couple have parted their ways and with all sorts of reports taking rounds on the Internet, there is another saddening news on their love story. While Ranbir and Katrina are currently engrossed with their busy schedules, the latest reports suggest that their break up has cost a big bomb to Ranbir Kapoor. Yes, according to the reports, it is said that Ranbir Kapoor’s break up with Katrina Kaif can cost him whopping amount of Rs 21 crore. From what we hear, Ranbir Kapoor shelled out Rs 15 Lakh as a rent for his penthouse in Silver Sands, where he use to stay along with Katrina Kaif. Along with Rs 15 Lakh rent, Ranbir had also given Rs 21 crore as a security deposit and as he has moved out of the flat now, he will lose the security deposit of Rs 21 crore. Yes, its quiet shocking, but as per the legal rules if the person leaves the house abruptly before the lease ends, they might lose the security deposit. Next articleA Quick Visit To The Roots And Back?